This retreat combines Yoga, horsemanship and adventure for equestrians and yoga practitioners of all levels. It is fun, exciting and experiential. 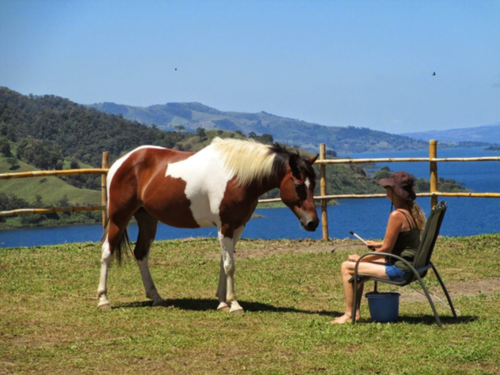 Kindred Connections will be joining Tammy Pate and Janice Baxter in an amazing journey combining horses, yoga and a riding adventure in Arenal, Costa Rica! 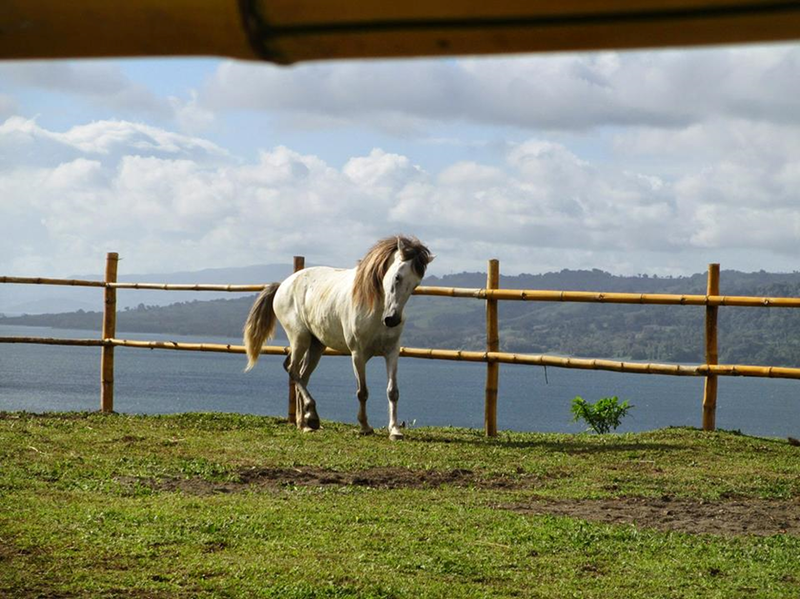 Yoga and riding to a beautiful lookout point in the mountainous Arenal region, where we can see magnificent views of the Lake and Volcano! On Day 8 we will relax and prepare to depart, feeling refreshed! For over 12 years, Tammy Pate and Janice Baxter have had an incredible time developing their Yoga and Horsemanship retreats. They have designed this clinic for equestrians and yoga practitioners of all levels. Tammy's clinics and demonstrations are designed to bring awareness of mental and physical balance and above all, improve your horsemanship. Everything you will do at the clinic is designed to gently bring about the inner balance that improves your ability to bond with and communicate with horses. Janice began teaching yoga and meditation in 1972. She believes that "yoga is a way of life that develops heightened sensitivity to horses, as horses are a way of life that brings deeper intention to Yoga." For Janice, yoga and horses are a natural integration of awareness, inspiration, balance, and joy.